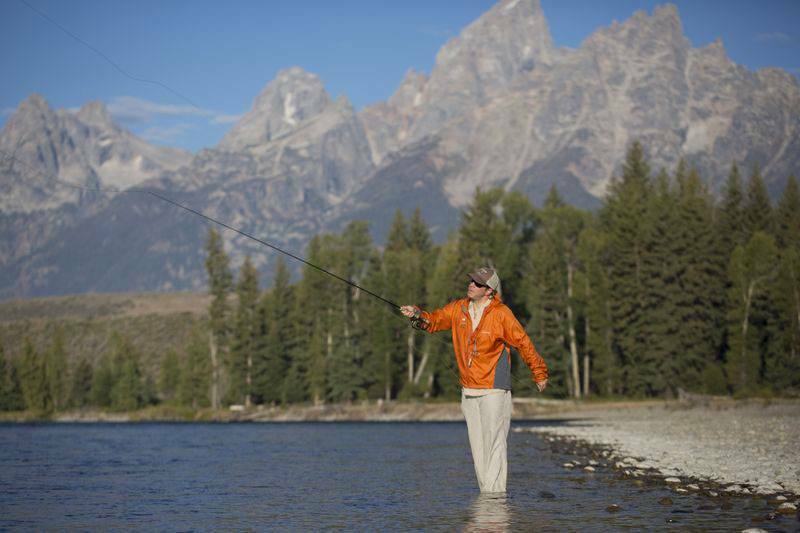 When most people think of fly fishing in Jackson Hole they think first of “the Hole’s” own Snake River. A Snake River guided fly fishing trip is the prefect blend of spectacular scenery and some of the best dry fly action the west has to offer. The Snake River orignates in Yellowstone, but soon flows the entire length of Jackson Hole with over 70 miles of blue ribbon trout fishing. It is a great beginner’s river while still accomodating the experienced angler looking for a challenge. 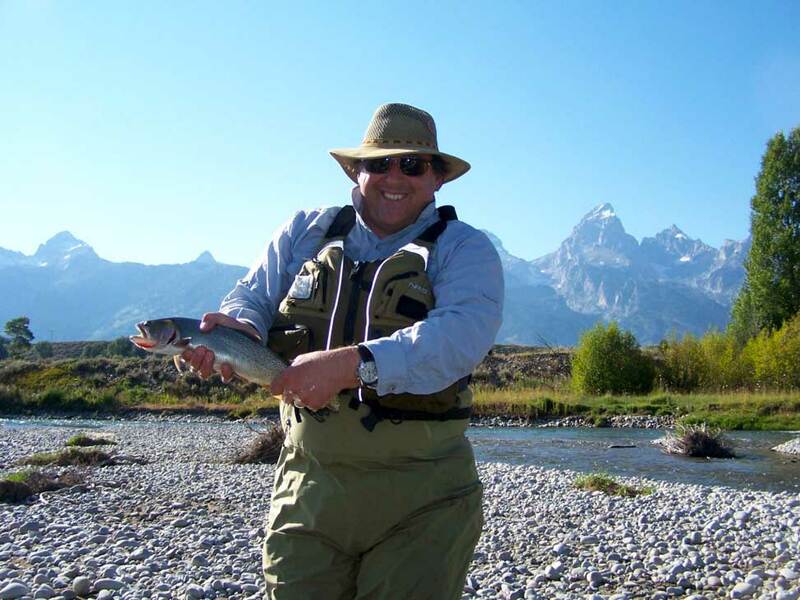 Our guides are Snake River experts and love to share their knowledge and enthusiasm. A typical day employs the services of guide and driftboat, which is used to access hard/impossible to reach holes and riffles that can then be fished on foot. 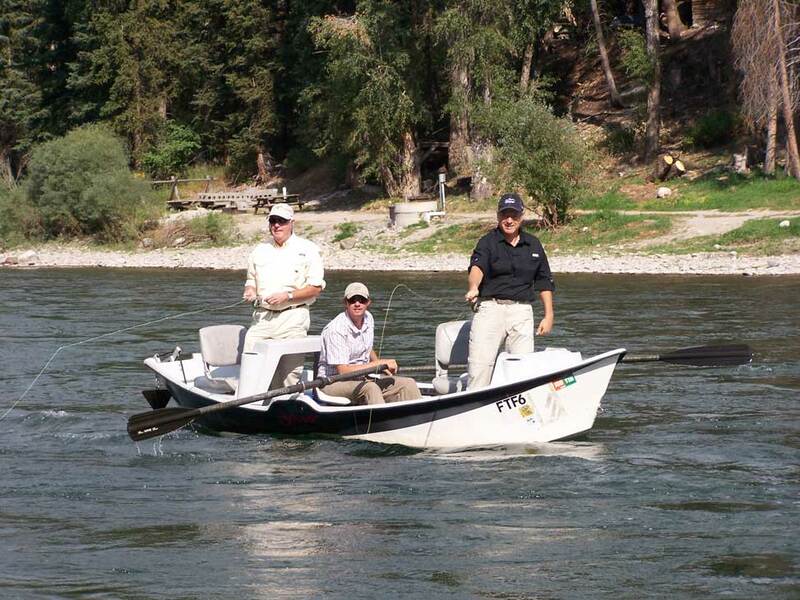 Check our blog for the latest Snake River fishing report and conditions. This freestone river can be divided into two sections in the Jackson Hole valley, Grand Teton National Park and the Snake River Canyon. The river in the Park is often braided into many side channels, offering many opportunities to stop and do some wade fishing. After the river leaves the park sections, the many braids rejoin into one larger main stem with a few smaller side channels as it flows through the Snake River Canyon in the Bridger Teton National Forest. Most of the fishing is done from the boat, but there are a few opportunities to wade fish as well. Mayfly hatches are strong in these sections of river, especially early and late in the season. There are more fish per mile in these sections of river than the upper river and our guides specialize in catching them! The Snake River is known for big bug fishing, due to its stonefly and hoppers. Nymphs are often dropped 1-2’ below these larger flies in a “hopper-dropper” system. Mayfly hatches, especially early and late in the season, offer match the hatch conditions. 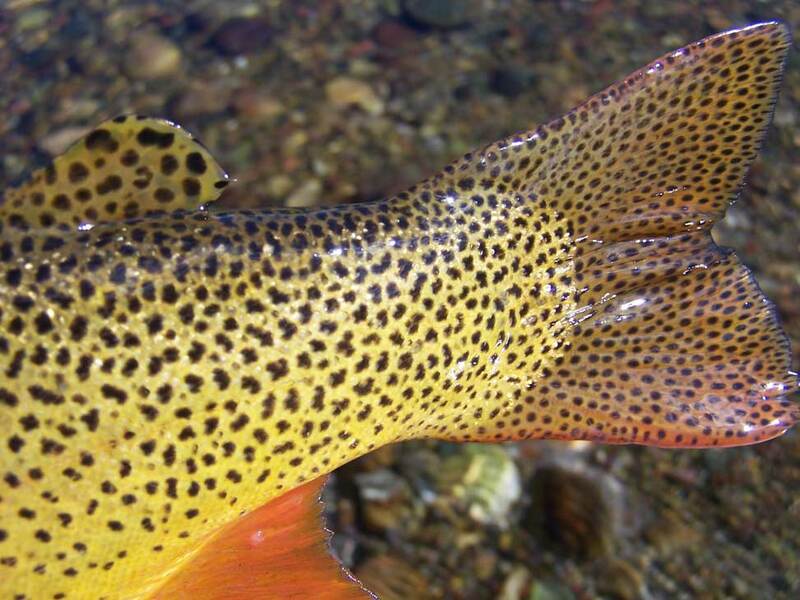 Prior to runoff, mid March – April, as the fish are hungry and there are no crowds; after runoff from late June- mid November brings good weather and hatches. In low water years, fishing on the Snake begins earlier in June.